Located in Viola California off highway 44 and just minutes away from Lassen Volcanic National Park sits Lassen Pines. 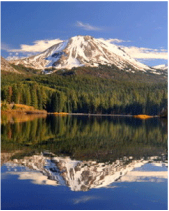 Lassen Pines boasts 45 acres with two lakes one for fishing and one for swimming. Rustic cabins and Yurts surrounded by towering pines allow for up to 400 guests. The fun starts at the beach where campers hang out, play volleyball, gutterball, 9 high, dodgeball or spikeball. Cool off in the lake, kayak or for the more adventurous there is "the BLOB" or our water slide "THE BULLET". Campers can enjoy a snack at the HANG or just relax with their friends. Free time activities include go karts, paintball, archery, bb guns, Frisbee golf, and laser tag. Hit the rec field for games or the basketball court for a 3on3 tournament. Need a little quiet time? Take a stroll and experience the mountain air and appreciate God's creation. There is something for everyone at Lassen Pines. 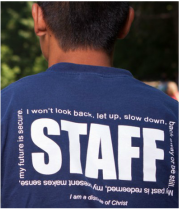 Make a difference in the lives of students, adults and families through the ministry of Lassen Pines. 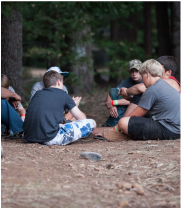 Your support helps Lassen Pines scholarship needy campers and keep camp affordable for everyone.